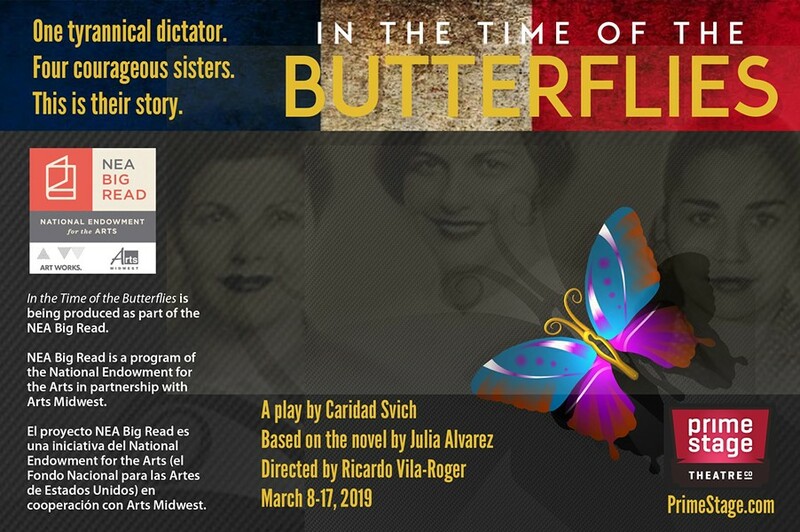 Prime Stage is seeking actors for their upcoming production of In the Time of the Butterflies, a play by Caridad Svich adapted from the novel by Julia Alvarez. Auditions are on Sunday, Dec. 2nd, from 1-6 pm. They will consist of cold readings of the play. You will be signed up by the hour and asked to stay for the whole hour. Email auditions@primestage.com for an audition slot. Please include your name, email, phone number, and which roles you will be auditioning for. Auditions will be held at the Prime Stage Studio, 840 Saw Mill Run Blvd., Pittsburgh, PA 15220.